Get ready for some intense football action as teams from across India battle it out in the Fourth Edition of the IBFF National Blind Football Tournament. The tournament kicks off at the Fever Pitch Yeshwantpur Turf Ground in Bengaluru on 12 April, with the finals on 15 April. Sixteen teams with 160 players are expected to take part and the games will be conducted in the presence of referees and officials approved by the International IBSA. New players will be trained as well and this is the best part - there will be a demo of blind women football players too. Sunil Matthew, Sporting Director, IBFF, who has played a major role in promoting and popularizing blind football in India, says there is plenty of interest being shown in the game by blind girls and women. 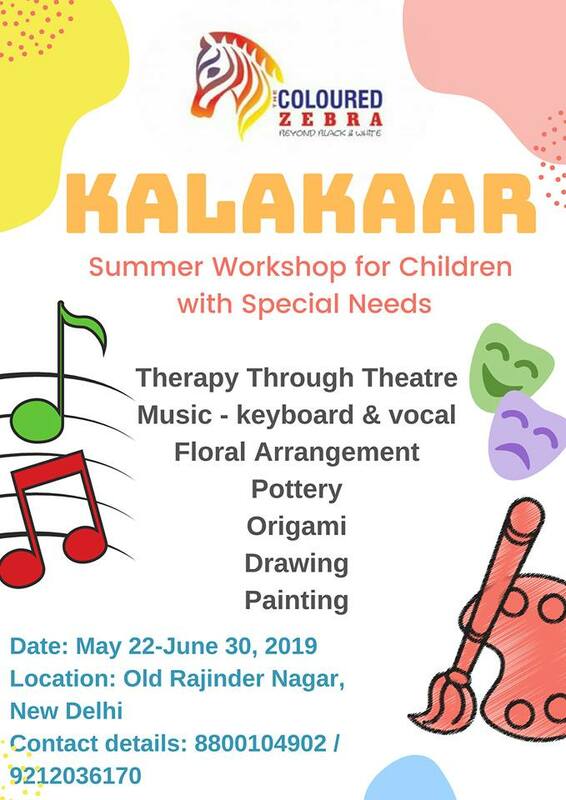 Matthew has been involved with the rehabilitation of the visually challenged community in India since 2002 on a voluntary basis along with the NGO Society for the Rehabilitation of the Visually Challenged (SRVC). A five-a-side game, blind football is a Paralympic sport played on a futsal sized ground. The football has bells inside and the players are all blind wearing protective eye masks. The goal-keeper is sighted. The IBFF, an independent body, has been developing the game since 2013. 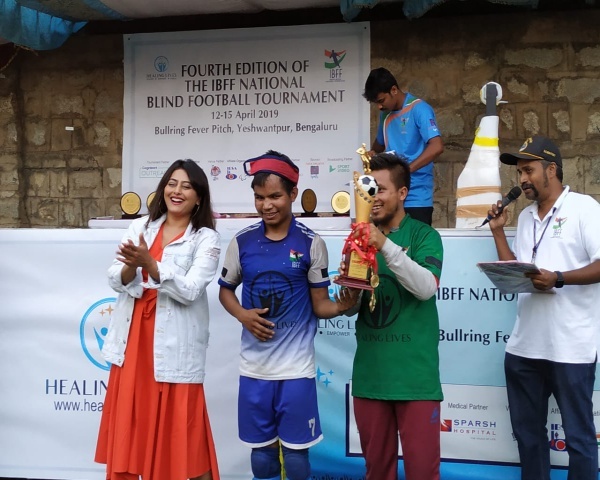 It is affiliated to the Paralympic Committee of India and IBSA New Delhi and is recognized as the only body to promote and organize football for the blind in India. It works in partnership with the All India Football Federation (AIFF) for technical support. The aim of the national tournament is to shortlist the best players and bring them to the Blind Football Academy in Kochi for further training. Here players are trained full-time and given vocational skill training as well, making it the only para sports academy in India to do so. Among the hopefuls who wants to make it to the academy is Pankaj Kochi, captain of the Uttarakhand Blind Football Team. Kochi, who has been playing for four years now, has been working hard on his fitness along with coach Naresh Nayal. “We want to put up a good show at the national tournament”, says Kochi. “We expect a tough fight from Kerala, which beat us in the finals in 2018. But we have beaten them in the past and are confident of doing so again. Every morning we work on our fitness and in the evenings on improving our skills on the field. We are waiting to make our presence felt”. 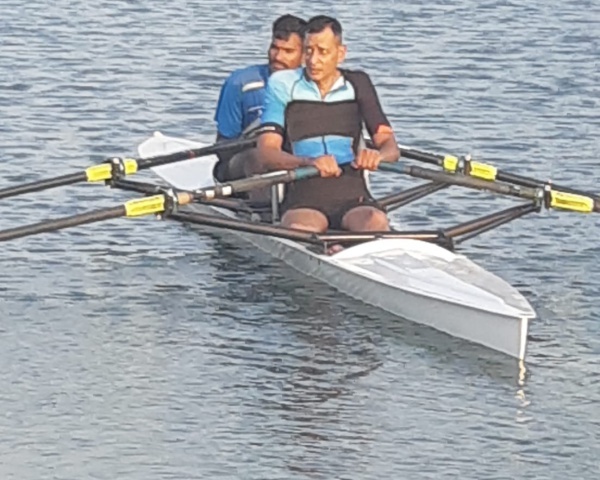 A former Indian Air Force employee, Coach Nayal, has been teaching sports at National Institute of Visually Handicapped (NIVH) in Dehradun after he took voluntary retirement. He has been instrumental in promoting the game in Uttarakhand and feels there is greater support and enthusiasm evident. “You have to be very patient while teaching blind students because it’s a personalized, one-on-one approach. You have to touch them and guide them on the motions and that takes time. The good thing is that more students are coming forward and official support has grown. We have a new director at NIVH who is doing a lot to encourage the game. He sanctioned a better ground and many other facilities and if the team does well, that will get us noticed by the higher authorities”. The growing number of teams taking part in the nationals every year is testament to the growing popularity of blind football. And the response is not coming from traditionally football-mad states like Manipur, West Bengal and Kerala alone. This year, making its presence felt for the first time is Uttar Pradesh, whose coach Alok Kumar Singh will travel with a contingent of 10 players, between the ages of 19 to 22 years. Singh is confident that his team will soon be a presence to reckon with in blind football. “If Uttarakhand, which is a newer and a smaller state can send players to the international level, so can UP”. Singh is also happy with the move to promote the game among blind girls. “Our boys train along with a partially sighted girl called Mohini who is a goalkeeper, so I confident that girls from our state will come forward”. 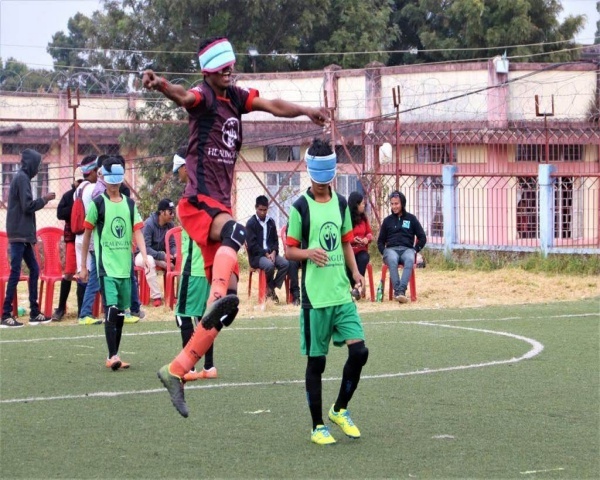 With this kind of spirit and dedication, blind football in India is clearly set to go places.